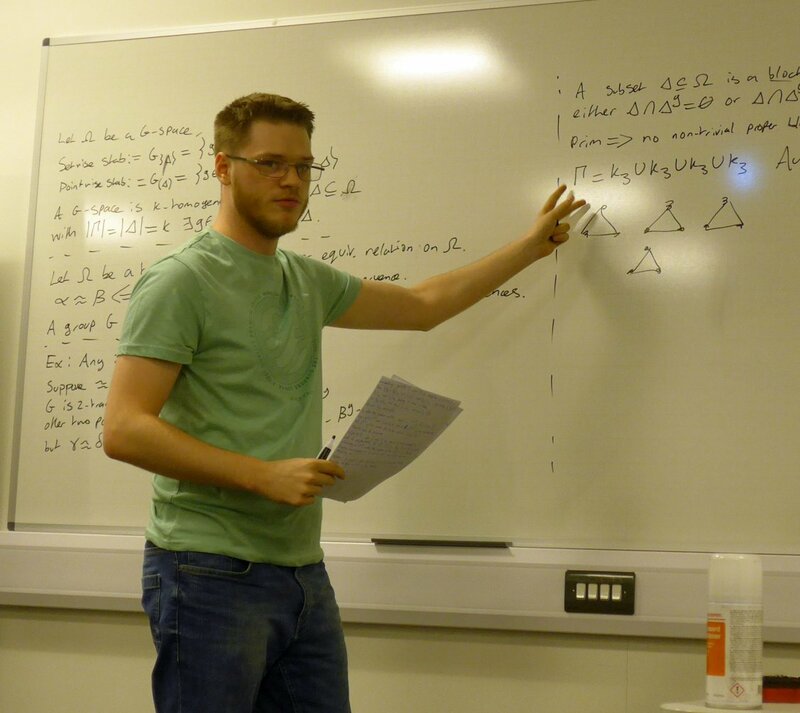 The LARA seminar on the 5th of December was given by Callum Burrows. The title of his talk was “Properties of group actions and their relation to wreath products”. Abstract: We explore some of the basic properties of group actions, namely k-transitivity, k-homogeneity and k-primitivity along with examples of such corresponding groups. We will establish how to demonstrate these properties using various methods including the use of orbital graphs in conjunction with useful results such as Higman’s criterion. Wreath products prove to be very useful in the context of permutation groups, as they serve as a universal example of embedding groups for imprimitive groups. This entry was posted on December 6, 2017 by Evgeny Khukhro in research, Seminar.